Today I’m proud to introduce fellow 47North writer, Star Wars scribe and all-round talented individual, John Jackson Miller. John Jackson Miller: I’m a writer who’s spent the last couple of decades strip-mining my childhood, so to speak! I worked in the comics industry for many years as a trade magazine editor (and continue my historical research on my Comichron site – http://www.comichron.com). For the last decade I’ve also been writing comics and prose, for franchises from Star Wars and Indiana Jones to Conan and The Simpsons. Along those lines, I have a few books that are out this summer. 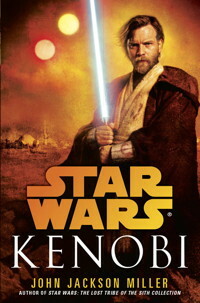 The big one is Del Rey’s Star Wars: Kenobi, my first prose hardcover, which follows the early days of Obi-Wan Kenobi during his sojourn on Tatooine. 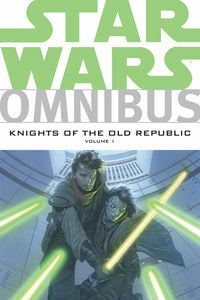 On the comics side, Star Wars: Knights of the Old Republic Omnibus Vol. 1 has just released, which collects the first chunk of the five-year comics series I wrote for Dark Horse Comics. The other prose book is one of my own: Overdraft – The Orion Offensive, my first creator-owned project, which I did for 47North. I’m really excited about that one. 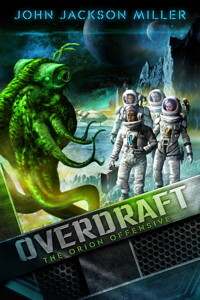 John Jackson Miller: The short plug for Overdraft is that it’s aliens and armored mercenaries taking on Wall Street! Really, it’s a fun story that plugs into a number of the themes that I enjoyed writing about in licensed work. It’s set in the 22nd Century, when mankind has reached the stars and entered into galactic commerce; naturally, greed is soon to follow. 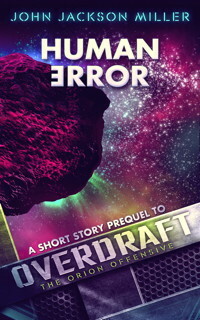 Overdraft follows what happens when a conniving stock trader accidentally bankrupts his interstellar expedition from his desktop; the mercenaries, deciding they’re not going to go into unemployment, drag him to the frontier to get their money back, one dangerous planet at a time. It’s space opera with some satirical overtones, partially inspired by the London Whale and some other high-finance disasters; it made for a good springboard to get our fish out of water and into the galactic soup, fighting for his life. It’s also got a fun system of space transport, which is really more akin to the golden age of rail travel. It took about three months to write, once I got started on it. 3. How did signing with 47North come about? 4. What has been your favourite part of your writing/publishing experience? The scariest? John Jackson Miller: I’ve written over a million words for comics and prose works over the last decade, but this was a bit of a new experience: unlike my novels like Star Wars: Kenobi, this is set in a sandbox that’s all my own. So I needed to construct rules and a history for my world. It was fun work, but also a bit intimidating as you realize how much there is to think through. Things like what the medical system is like in your future world are things you don’t normally think of when working out a plot, but they tend to become important when you’re writing. 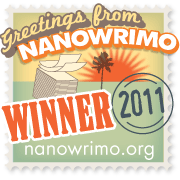 I think the other challenging thing was in writing the story, which was being released serially while I was writing it. I’m pretty fast, but life gets in the way sometimes, or it certainly tries to. You just have to focus and keep writing! John Jackson Miller: It’s not regular enough, is the problem! I was moonlighting for my first several years in the business and I continue to look on evenings and weekends as prime writing time, even though I have been writing full time and really should be setting a different schedule. I just seem to find that handling the business part of things tends to slop over from morning into the afternoons a lot, and that it’s really in the evening hours when I don’t have to worry about e-mails coming in from anyone. I also have started using noise-canceling headphones, which are really helpful when gutting out a long scene. It’s funny – I was trained to work in a noisy newsroom, but really have trouble doing fiction when there’s noise about. 6. Do you have a favourite scene from the book? John Jackson Miller: Overdraft throws the stock trader into all kinds of crazy situations – but one of my favorites is his first encounter with an actual alien. His translation system has assigned this bizarre looking creature the persona and voice of a 1950s stewardess, and he’s struggling to reconcile the voice with the gruesome sight of the alien – all without offending his potential customer. It doesn’t work out very well, to say the least. That becomes a pattern for him! 7. Do you have any other projects in the pipeline? John Jackson Miller: I have a Star Trek novella, Star Trek: Titan – Absent Enemies releasing from Simon & Schuster in early 2014. It’s my first foray into the Trek universe and it’s a lot of fun, following the adventures of William Riker on his new command. I also have a Conan story in the November issue of Robert E. Howard’s Savage Sword from Dark Horse Comics. It’s my first trip into that world, as well, and it reunites me with Philip Tan, one of my artists from my Iron Man run of comics. I am working on some more Overdraft-related material, as well as some other projects; I hope to continue with Star Wars as well. Folks can find out about my upcoming work at http://www.farawaypress.com and on Twitter at @jjmfaraway. 1. What skills do you possess that would help you survive a zombie apocalypse? John Jackson Miller: Zero, zip, and nada. I did establish that the rakghouls, the zombies from the Knights of the Old Republic series, were the result of Sith magic; my one contribution to zombie lore in the Star Wars universe. But outside of fixing continuity, my skills are lacking! 2. You can be any comic book superhero – Who would you be? John Jackson Miller: I was glad to get to write Iron Man for a year as he was really the character I liked the most – he didn’t have to be in shape, he let the suit do the work! 3. As you’re a Star Wars writer, I’d regret not asking this. So, are there any Star Wars characters you’ve never written but would like to? And who is the favourite one you’ve written so far? John Jackson Miller: Ben Kenobi is really the first character from the movies that I’ve gotten to write at length about; obviously, he was a lot of fun. I’ve always thought Lando Calrissian would be fun to write about – he’s a scoundrel with style, you’ve got to love that. Within my own personal pantheon, probably Gryph, the conniving con artist from my Knights of the Old Republic comics, comes closest to having Lando’s cleverness. Thanks to John for taking part. And his Author Central page on Amazon here.